Photo: Ian Kallay pausing for a picture along his incredible journey. 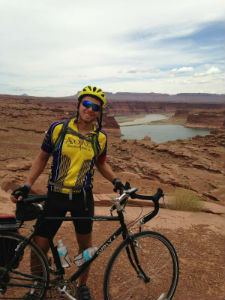 Wright State University [Dayton, Ohio] cross country runner Ian Kallay spent his summer vacation biking across America to raise funds and awareness of human trafficking. First, tell us about yourself, like where you are from, what your major is, etc.